The studio announced a film festival in association with IMAX which will see all 20 Marvel Cinematic Universe titles - from ‘Iron Man’ to ‘Ant-Man and the Wasp’ - re-released in large-format in select IMAX cinemas between August 30 and September 6. Three films, ‘Iron Man’, ‘The Incredible Hulk’ and ‘Captain America: The First Avenger’ have never been released in IMAX. The first five days of the film festival will show all 20 films in release order, followed by two theme days centering around “Origins” and “Team Ups”. The film festival will conclude on September 6 with two films chosen especially by the fans through an online poll. “We knew we wanted to go big to celebrate 10 years of Marvel Studios, and you can’t get any bigger than IMAX,” Kevin Feige, producer and president of Marvel Studios said. “This is an incredible celebration for fans. 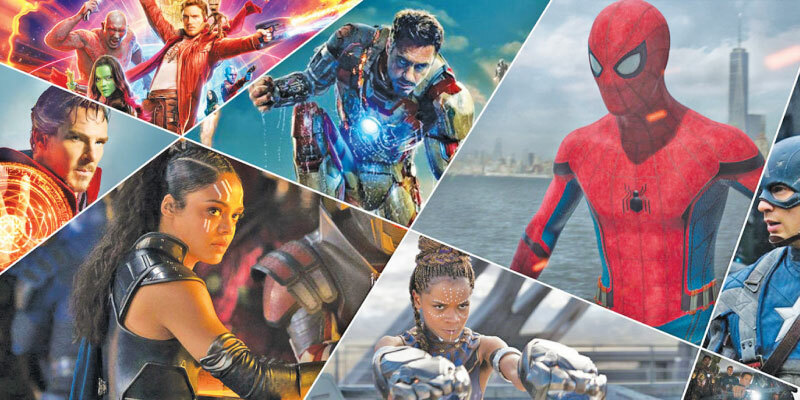 They will be able to see all of Marvel Studios’ films back-to-back and really be immersed in the Marvel Cinematic Universe,” he added.